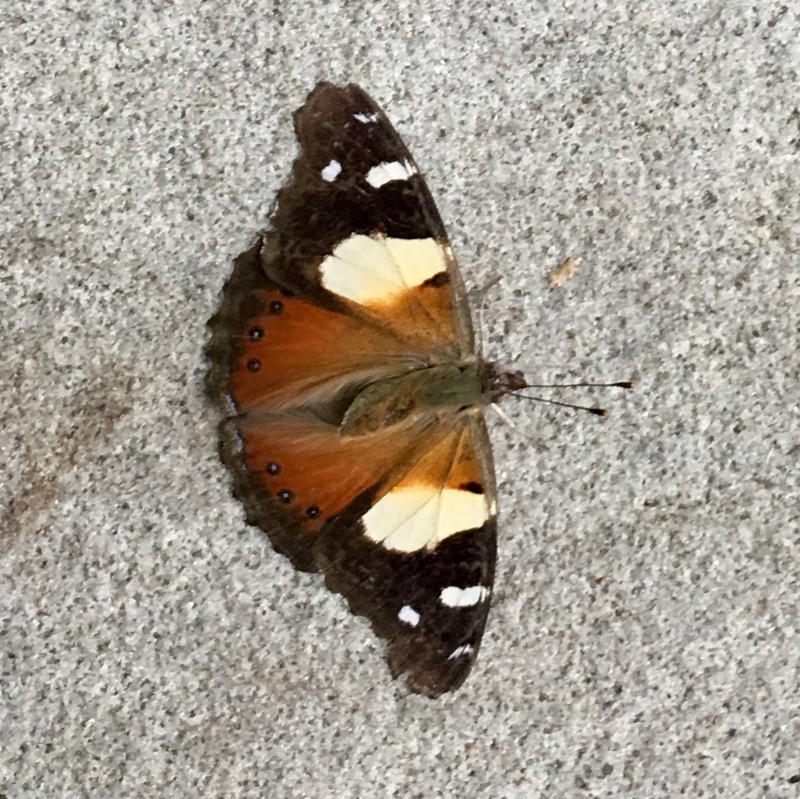 This butterfly reminds me of a morning journey in Spring when I experienced living art. I look up to see an attractive woman in her early forties glide down the aisle with the grace of a ballet dancer. I notice she wears silver sneakers without laces and black stockings beneath a soft black, calf length, bias cut skirt. The combination provides contrast to a loose fitting, burnt orange, wide necked, bat wing sleeve jumper. An oversized black leather shoulder bag guides my attention to the glimpse of a tattoo of ancient script on her right forearm and tasteful antique gold rings, four on each hand. Dark brown hair is scraped back into a small tidy bun. Gold dropper earrings with pale yellow stones, maybe citrine hang from sensual lobes. A clear Mediterranean complexion provides the backdrop for thin high arched brows above dark accepting eyes, a slight shadow of tiredness below. A slim refined aquiline nose carries my gaze to unsmiling dark blue-purple lips. I realise this person is an ideal subject for a modern variation of a renaissance portrait. Beautiful description.. I could see her. And a perfect connection to a Renaissance portrait. A very special post. Like the butterfly photo connection too. Thank you, Eileen, I’m pleased you liked it.